Much of the federal government has shut down after the U.S. Senate failed to pass a short-term spending bill late Friday night and negotiations stalled Saturday. Federal agencies said they were still assessing the full impacts of the shutdown on Alaska, but could broadly say what will stay open, like post offices and airports. The shutdown also means many federal employees in Alaska will be furloughed, or placed on temporary unpaid leave, including about 55 civilian employees on Joint Base Elmendorf-Richardson, officials said. 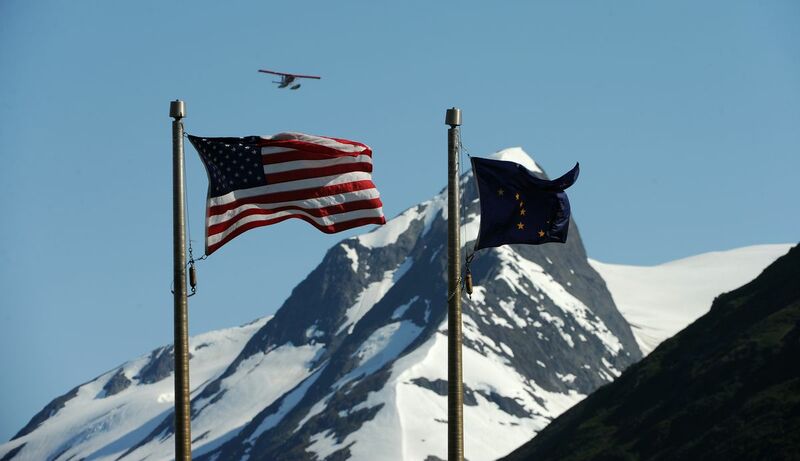 The total number of employees in Alaska who will be furloughed was not known Saturday. But the last time the government shut down, in 2013, roughly 13,000 Alaskans were furloughed, the Anchorage Daily News reported at the time. Both Alaska Republican Sens. Lisa Murkowski and Dan Sullivan voted in favor of the short-term spending bill that had passed the House on Thursday. In statements Saturday, Murkowski, Sullivan and Don Young, Alaska's sole congressman, criticized the shutdown. "Shutting down the government is no way to govern. It is disruptive, harmful, wasteful, and impacts the thousands of Alaskans who are federal employees, contractors and all who rely on the services provided by our federal agencies," Murkowski said in her statement. Sullivan said in his statement that he "simply (fails) to understand the logic behind the Minority Leader's decision to shut down the government." "Passage of the Continuing Resolution (CR) tonight would have continued the essential functions of government, provided critical funding for the Children's Health Insurance Program (CHIP) for thousands of Alaskan children for six years, and given Congress an opportunity to address a long term spending measure." Young said he was "disappointed to see that Senate Democrats are playing politics with funding the federal government." Murkowski and Sullivan said they would work toward finding a solution and reopening the government. What does a shutdown mean for Alaska? U.S. Postal Service: Post offices in Alaska will remain open. 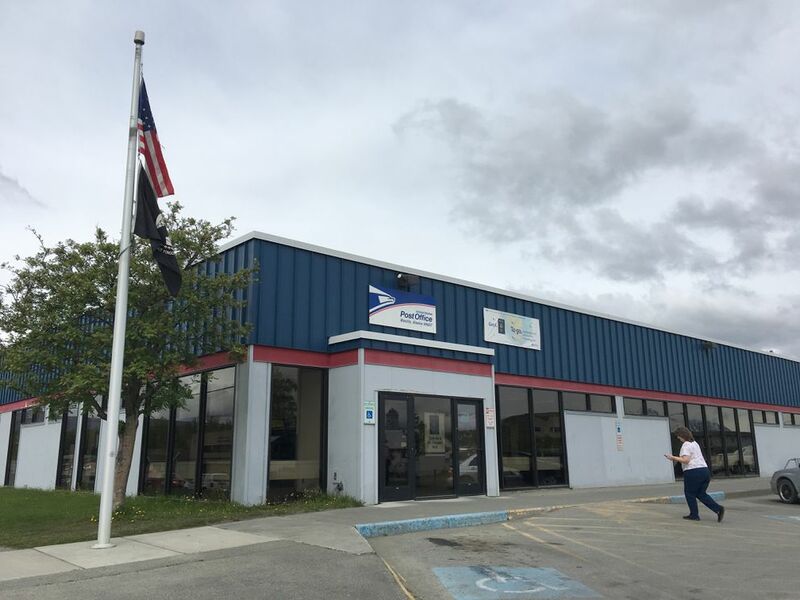 No employees will be furloughed, wrote Dawn Peppinger, manager of marketing for USPS Alaska District. Federal Aviation Administration: Airport operations will continue, wrote spokesperson Allen Kenitzer. A contingency plan for the U.S. Department of Transportation shows that about 17,800 FAA staff would be furloughed nationally. Military bases: All active-duty service members will continue in "normal duty status," according to guidance from the Defense Department. However, military personnel won't be paid until the federal government has restored needed funding. Civilians who work on military bases and are considered nonessential will be furloughed. Within the Alaskan Command headquarters on JBER, about 55 civilians will be told to stay home, said Capt. Bryant Davis, spokesman for Alaskan Command. All told, about 3,000 civilians work on JBER, said spokesman Jerome Baysmore, but the base was still figuring out how many of those employees would not be reporting to work Monday. "We won't know how deeply we're affected until Monday morning," Baysmore said. Alaska National Guard: Active Guard Reserve members will continue to work. Some civilian and technician employees, whose work supports national security, protects life and property, will also continue working, wrote Lt. Col. Candis Olmstead. Other civilian employees will be furloughed. Olmstead wrote that the Alaska National Guard also canceled its monthly drill weekend, scheduled for Saturday and Sunday, due to the government shutdown. About 4,000 Guard members throughout the state had planned to attend. "Drill weekends are when the bulk of our force — our traditional, or part-time Guard members — train alongside our full-time personnel," she wrote. U.S. Coast Guard: The Coast Guard will continue law enforcement patrol, search and rescue, and other missions related to safety, security and environmental protection, said Lt. Bryan Dykens, spokesperson with the U.S. Coast Guard District 17 in Juneau. However, other services may be stopped or delayed, like vessel certification, or renewing seaman documentation, Dykens said. Veterans Affairs: Employees with the Department of Veterans Affairs will continue working, wrote Peter Shelby, assistant secretary for human resources and administration at the VA.
"VA's mission to serve Veterans puts us in a unique position of having both multi-year appropriations and carryover funding. At this time, all employees will continue to report to work to serve our Veterans, unless notified by a supervisor," Shelby wrote in an email. The agency has developed a contingency plan if multiyear appropriations and carryover funding lapse. Centers for Medicare and Medicaid Services: The Medicare program will continue "largely without disruption," the U.S. Department of Health and Social Services' contingency plan says. For Medicaid, funding exists to last through the second quarter of 2018. National parks: Alaska's national parks will "remain as accessible as possible while still following all applicable laws and procedures," wrote Jeremy K. Barnum, acting chief of public affairs for the National Park Service. 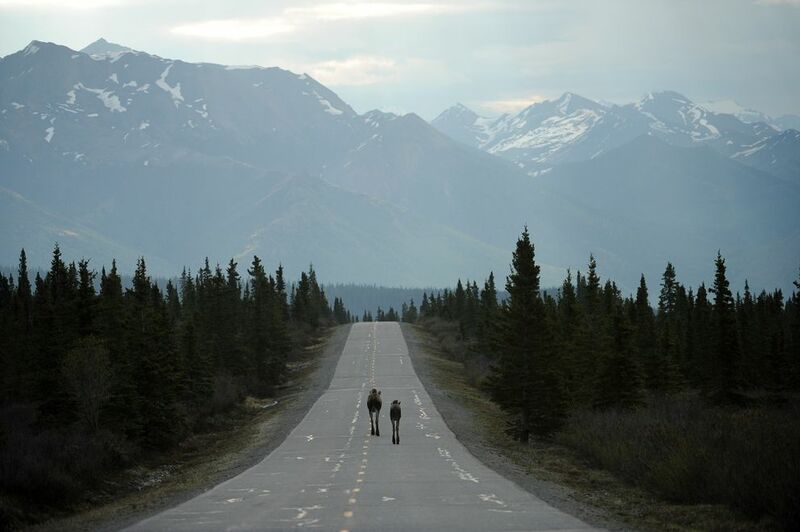 "For example, this means that roads that have already been open will remain open (think snow removal) and vault toilets (wilderness type restrooms) will remain open," Barnum wrote. "However services that require staffing and maintenance such as campgrounds and full service restrooms, will not be operating. The American public and especially our veterans who come to our nation's capital will find war memorials and open air parks open to the public." The agency's contingency plan says that all activities will stop except those involving emergency responses, safety of human life and property protection. National and regional offices and support centers will be closed. Visitor services like trash collection and road maintenance will stop. U.S. Fish and Wildlife: Alaska subsistence access and activities will be allowed to continue, according to the agency's contingency plan. Law enforcement, wildlife inspectors, conservation officers and fire management staff will continue to work. Visitor centers and other buildings will be closed at national wildlife refuge areas, but the public will still have access to wildlife refuge land. Alaska's hatcheries will have at least one person on site, with up to two people on call to protect the facility and maintain fish, the plan says. Bureau of Land Management: "Essentially all activities of the BLM will be halted with the exception of law enforcement, emergency response functions, and those operations that pose a safety risk to life, property, or resources," the agency's contingency plan says. A majority of employees nationwide will be furloughed, the plan says. BLM campgrounds and recreational sites will be closed, and signs will be posted notifying the public that BLM services won't be provided during the shutdown. Bureau of Indian Affairs: About half the agency's employees nationally will be furloughed, according to the agency's contingency plan. Law enforcement, human services, wildlife fire management, irrigation and safety of dams will continue. Indian Health Services: Clinical health care services will continue, according to the U.S. Department of Health and Social Services. 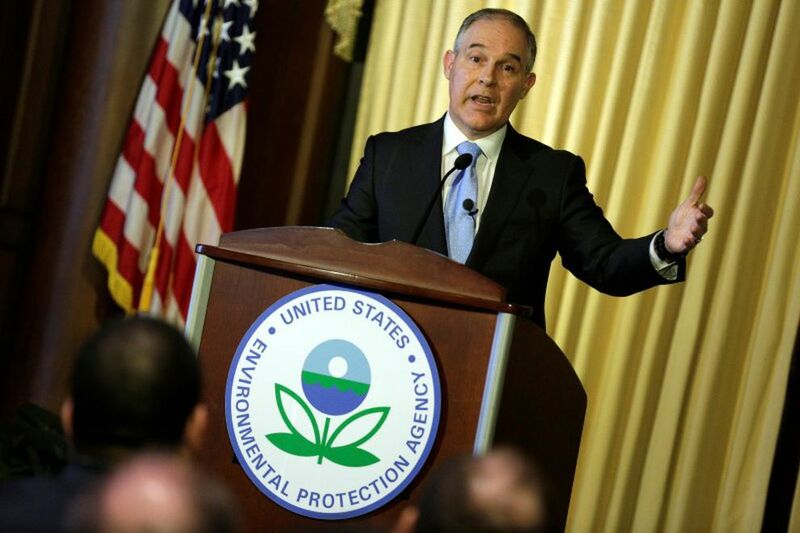 Environmental Protection Agency: Of the agency's 14,449 employees across the U.S., around 780 employees will continue working, considered necessary for the protection of life and property, according to the agency's contingency plan. However, The Washington Post reported Friday that EPA "Administrator Scott Pruitt told his roughly 15,000 employees to report to work Monday as if nothing would change." National Oceanic and Atmospheric Administration: About half of NOAA's employees nationwide will be furloughed, the agency's contingency plan says. Weather and climate forecasts, fisheries management and law enforcement activities will continue for NOAA and other agencies that fall under the Commerce Department, the plan says. Justice Department: "Assistant U.S. Attorneys in the Criminal Division, as well as a limited support staff, will be excepted from a potential shutdown in order to fulfill our public safety responsibilities," wrote spokesperson Chloe Martin. "Assistant U.S. Attorneys in the Civil Division and its support staff would typically be furloughed, except for required court appearances. The U.S. District Court is expected to remain open, and would continue operating as usual," Martin wrote. U.S. Customs and Border Protection: Nearly 90 percent of all Department of Homeland Security personnel in the U.S. will continue to report to work, according to a DHS spokesperson. The agency did not respond directly to whether Alaska border stations into Canada or at the Port of Anchorage would remain open. Alaska Volcano Observatory: About 10 people will be furloughed, said Jeff Freymueller, coordinating scientist with the observatory. State and university employees working for the observatory won't be affected, and some essential U.S. Geological Survey staff will remain on board. However, next week was scheduled to be a big week for planning the next field season, Freymueller said. A shutdown would stall those plans and put people in a "crisis" once they return to work, he said. Municipality of Anchorage: "In the short term, the impacts of federal shutdown on the municipality are pretty manageable. In the longer term, they would be more problematic," City Manager Bill Falsey said in an email. In a prolonged shutdown, grant processing would be delayed and would affect federally funded local services and construction projects, he said. A shutdown could delay the receipt of federal permits required for some local construction projects. It could impact a FEMA response in the case of a community-wide emergency and the Centers for Disease Control and Prevention would not be able to offer its typical level of assistance with infection disease outbreaks and pathogen testing. A shutdown could also affect national fire and police academies attended by some municipal employees, he said. "So again: not ideal, but manageable in the near-term. More problematic if shutdown lingers." More information on how the shutdown affects federal agencies can be found in the contingency plans on the Office of Management and Budget's website.